I am usually a day or two behind my blog posts for obvious reasons (things have to happen first, then I need to write up the post), so my last post of any trip occurs when I return. Yesterday, after 26 hours of travel, David and I finally got home. As I walked through my own front door, I had a brief, but disquieting feeling of disassociation and thought to myself “who lives here?” Everything seemed foreign and familiar at the same time. 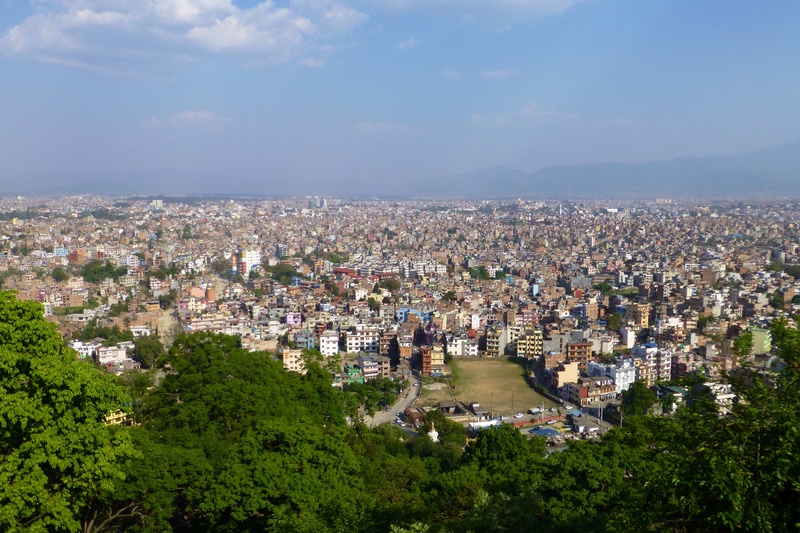 This morning, just like all of you, we awoke to the news that Kathmandu experienced its largest earthquake in 80 years. When David told me, I thought I was dreaming. So far, over 800 people are reported dead, but I’ve seen how fragile Nepal’s buildings and roads are, so I expect that number will rise. When we were in Chyamche, I mentioned that our room had a light switch attached to the wall by band-aids. I think this light switch is an apt metaphor for Nepal’s infrastructure—many buildings and roads are crumbling and/or poorly maintained; electricity is in short supply with constant power outages; and waste management is nearly non-existent, so garbage ends up in rivers or gets burned in public areas. Water and sewage are in an abysmal state—I cannot tell you how many times I encountered things that just don’t work: faucets with no water, leaky pipes with plastic bags wrapped around them to catch errant drops, and buckets placed under spigots that won’t turn off. To my (admittedly privileged) Western eyes, Nepal’s infrastructure is a million critical things held together by band-aids and duct tape. Normally, my last post is reserved for reflections on my trip; however, at the moment, I can only think about what’s happening there, shoot off some e-mails to see if those I care about are safe, and hope for the best for the Nepalese—a people who I’ve come to appreciate as proud, hardworking, and just trying to succeed despite the odds that are placed against them. I was only in Nepal for six weeks, but the trip impacted me in a way that made it feel so much longer. I feel part of myself is still there (or should be there), doing what little bit I can. Thank you for sharing this trip with me. Please know that we are home and safe. If you pray, please remember Nepal in your prayers. Colleen, I’ve enjoyed getting caught up on your adventures in Nepal. You and Dave were quite fortunate to return just prior to the quake. I’ve not yet been to Nepal but my heart certainly goes out to the Nepalese as they try to recover from this devastation. http://www.theatlantic.com/photo/2015/04/what-nepals-earthquake-left-behind/391559/ really drove home the magnitude of the impact. We were, indeed, fortunate–yet there’s a big part of me that feels like I should still be there helping somehow. Thankfully, I’ve been able to confirm that the monks are fine and no one is hurt at the monastery; however, the villages below were quite badly damaged. We’re still anxiously waiting to hear from some of our other Nepalese contacts to confirm their safety. Thanks for the link…I hadn’t seen that article and it really does highlight how tragic it is. I have pictures of many of the places that are now rubble. It’s surreal.